Carpet stains are a normal occurrence in most households. Many people are shying away from traditional store-bought carpet cleaners and turning to more natural cleaning substances for environmental reasons. Hydrogen peroxide is a natural chemical that can be used as a disinfectant, and bleaching and cleaning agent. 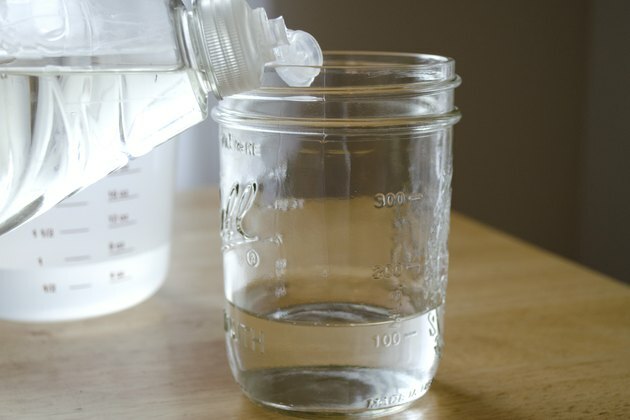 Hydrogen peroxide is a healthy alternative for cleaning purposes. Hydrogen peroxide is made up of water and an extra molecule of oxygen. It breaks down into water and oxygen. It is produced by animal and plant cells and is formed by sunlight acting on water. Many industries are moving towards the use of peroxide and away from bleach products in order to save the environment. Another option is to mix one part of 3 percent hydrogen peroxide with five parts water. Again it is important to test an area out first to prevent your carpet from being marred. This solution works well for most carpet stains, but in particular is good to clean mold and mildew from carpet. It not only cleans and removes stains, but also serves as a disinfectant. A simple home remedy for carpet cleaning is to mix hot water and a biodegradable liquid soap together and then add the peroxide. It's important to make the solution have a content of 2 percent hydrogen peroxide. 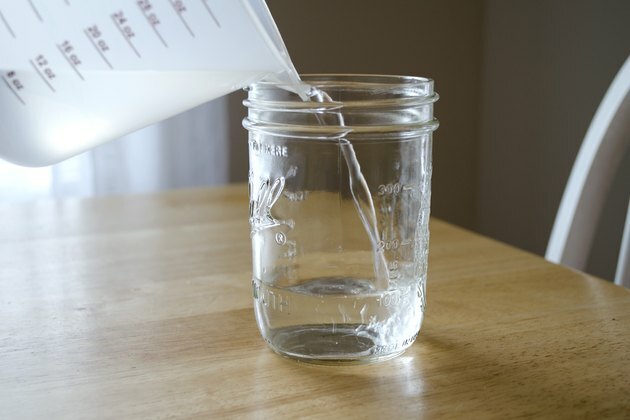 For one gallon of water, there should be approximately 1/3 cup of 35 percent peroxide. 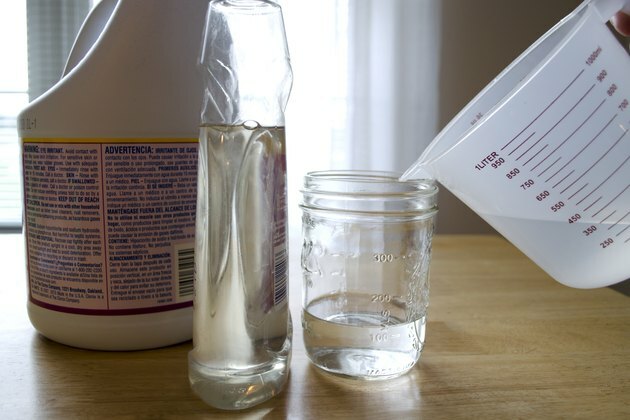 To determine the amount of peroxide to add, know there are sixteen cups of liquid in a gallon. 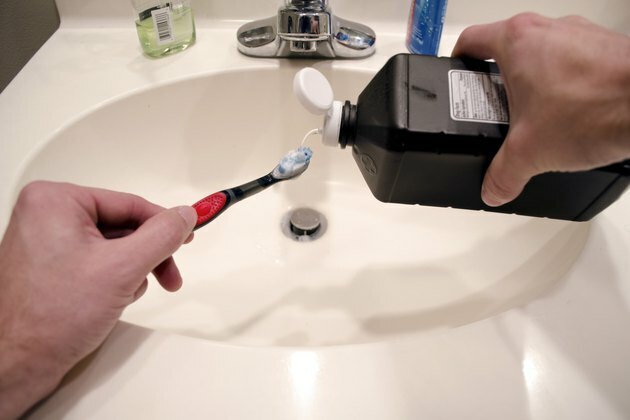 Multiply the gallon amount times 2 percent and that tells the amount of peroxide to add. To remove ink stains, a 50/50 solution can be made of hydrogen peroxide and ammonia. The ammonia causes the peroxide to work better. Certain fabrics cannot handle ammonia, so it's important to be careful if using this solution. Hydrogen peroxide is a natural chemical and is used for other things as well. It is used to whiten teeth because of its bleaching effect. It can be used to disinfect most items, including toothbrushes. Peroxide is used for cleaning bathrooms, kitchens, floors and even for disinfecting cutting boards. Some really tough stains require full-strength hydrogen peroxide. It is important to use 3 percent peroxide when using it on carpeting or other materials. 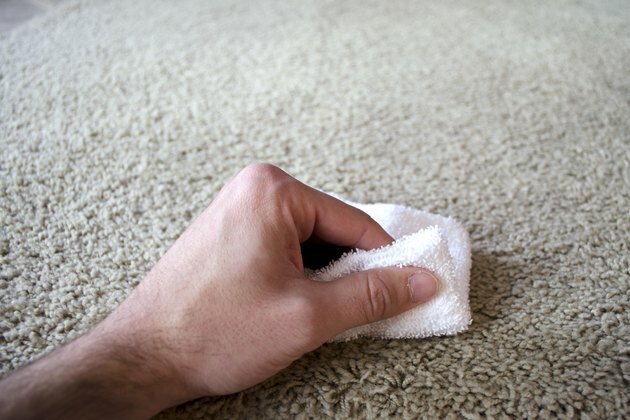 A percentage stronger than 3 percent can cause carpets to discolor due to the bleaching ability hydrogen peroxide has. The peroxide is poured directly onto the stain, and left to soak in for a few minutes. It is then soaked up with a cloth or sponge until as much of the liquid is removed as possible. 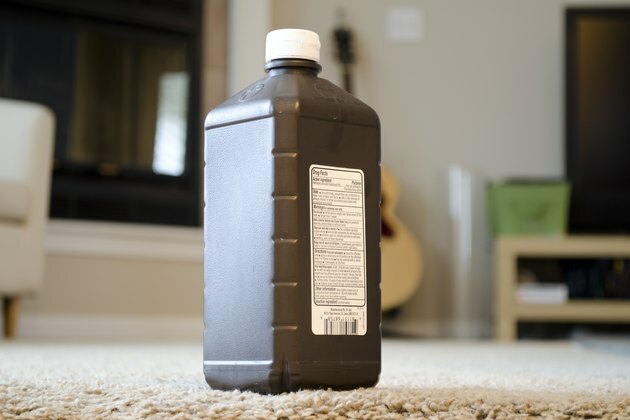 If you are worried about your carpet bleaching, try the hydrogen peroxide in an inconspicuous area first. If the stain remains, repeat the process. 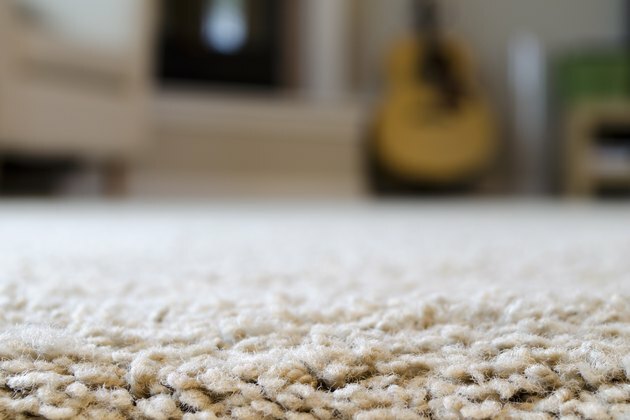 What is the Best Quality Carpet?